Mack Petersen escaped the past and started over in a hotel that has become his life. This summer his secrets can't stay hidden. 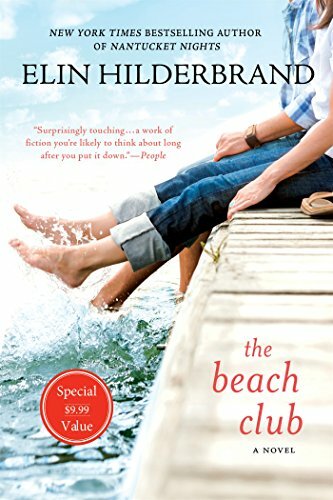 Love O'Donnell, a glamorous Aspen native, takes a job at the Beach Club to implement her life plan--to find a man to get her pregnant. Vance Robbins has his African-American pride and festering resentments. This season, a gun and a woman offer him a chance to get even with the man he hates most. Cecily Elliott, the owner's daughter, wild and beautiful at eighteen, is about to do something to break her parents' hearts. And Lacey Gardner, the Grande Dame of the Beach Club for 45 years, knows about desperate desire--and about the storm coming that will change everything. The Beach Club, Elin Hilderbrand's first Nantucket novel--the one that started it all--is still the most satisfying read of the summer.